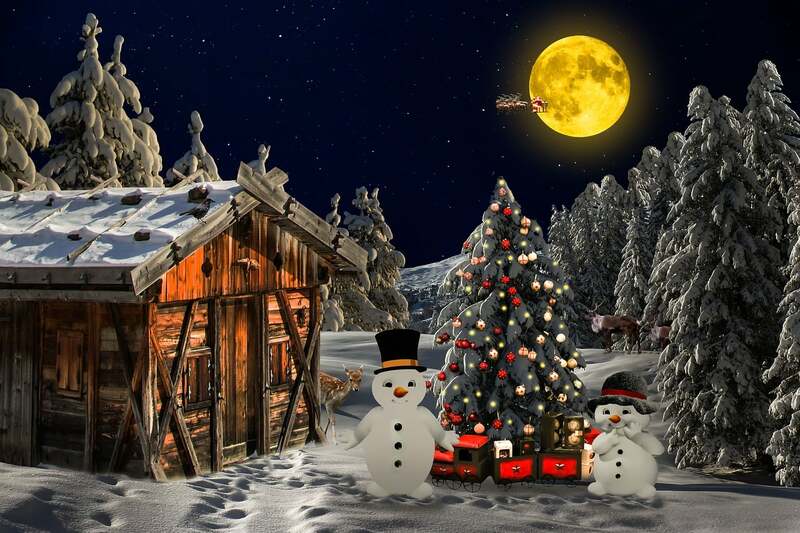 A premium Christmas Backdrop featuring a winter scene with Snowmen and a Christmas Tree. Have this printed onto our high-quality backdrop material at any size. Ideal for Santa’s Grottos, Retail Displays, Pantomimes and Nativity Plays. Absolutely delighted with the backdrop I ordered from Bannerworld! The fabric quality is outstanding. Far better than I could ever... read moreAbsolutely delighted with the backdrop I ordered from Bannerworld! The fabric quality is outstanding. Far better than I could ever have hoped for. Print quality is equally superb, showing bright, clear colours, and all edging is finished to the highest standard. I purchased three large backdrops for our village pantomime from Banner World. I had considered a few other businesses, but... read moreI purchased three large backdrops for our village pantomime from Banner World. I had considered a few other businesses, but went with these guys as they were helpful from the start, providing us with free samples of the fabrics and printing which other companies don't always do. They were very quick to answer emails and very helpful with it too. Delivery was exactly when they said it would be, and they were very accommodating to our needs. I was nervous once the order was made as, while very reasonably priced, our order was a significant sum of money. I needn't have worried. The quality was fantastic, all our requests had been carried out exactly as asked for and they looked fabulous on stage. Lots of great comments were made by audience members. I'm actually writing this review almost a year after our purchase, and can confirm not only is the quality great, they last well over time also. Several clients have remarked that buying stage backdrops from us is cheaper than renting from other suppliers! We print from your artwork – this can be your logo or other design including photographic or illustrated backgrounds. Thousands of high-resolution backdrop themes and ideas are available from image banks such as the Adobe Stock Library for very little cost. Many of these are perfect for scenery theatre backdrops. We are always happy to assist with your artwork design if needed. Ideal for stage backdrops, backcloths, band scrims, theatre displays, custom backdrops, conferences, pantomime backcloths, museum backdrops, live bands, exhibition displays and point of sale displays. Airmesh Flag 115gsm, Airtex 330gsm, Artist Premium 200gsm, Decor Fabric 240gsm, Evolon Micofibre 130gsm, Polyester 115gsm, Polyester 210gsm, Textile Backlight 270gsm, Textile Blockout 400gsm, Veil 52gsm. Please make sure that you set your colour settings to CMYK. 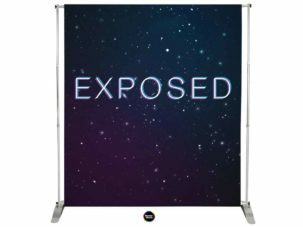 Our backdrop printers use a full colour dye-sublimation printing process which works using cyan, magenta, yellow and black inks. Files that are sent to use using an RGB setup will be changed automatically. Sometimes this can make the colours on your printed backdrop seem weak & washed out. We will check for this before printing and contact you if required. A single scene is usually ideal for a backdrop design. 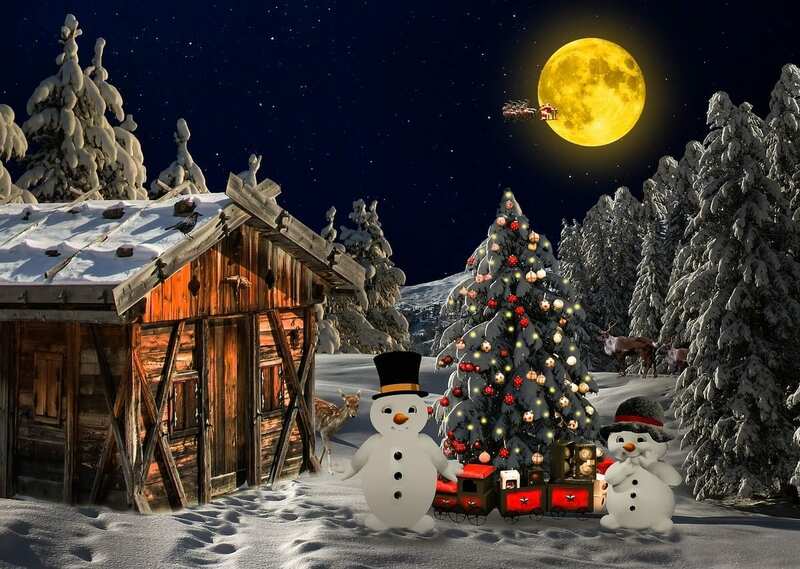 How big can you make Christmas backdrops?